One trading pair that has been very good for us has been the British pound against the Euro (EURGBP). This instrument has been trending down now for quite a while. The reason is easy enough to divine – The Bank of England has made it known that interest rates in the UK are liable to rise “sooner than the market might have expected” in the words of the governor, Mark Carney, while in Europe, the ECB has been battling with inflation levels that are so low that they threaten deflation, and all known remedies for this condition are bearish for the Euro. 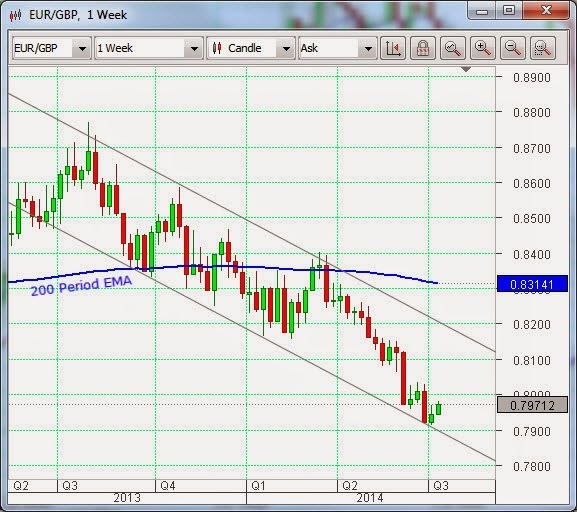 However, EURGBP has now arrived at the lower end of its trend channel, in Technical Analysis terms. In conditions like this our Mandelbrot algorithmic routine can succumb to conflicting signals, and this was the case recently. It went into a short position only to find it negated very quickly on the occasion of a retrace in the pair from the bottom of said channel. The cost to us was in the region of one half of one percent of equity – no biggy, as our US friends might say, and well within the acceptable drawdown limits for our strategy. We will now sit on the sidelines in this pair and watch for evidence that the retrace is completed, that the trend has changed or that it no longer exists. Over the last few months it has been apparent that the level of trading activity in the Foreign Exchange markets has been abnormally low. 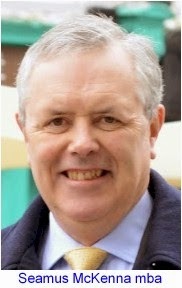 This has meant that for many currency pairs the movement of the rates has been found to be confined to a narrow range. Such an absence of trading activity is known as low volatility, and Forex traders do not like it. They prefer trending pairs, which is the direct opposite to ranging ones. Two symptoms of this phenomenon are the fact, according to the LMAX FX Exchange, that in the month of April of this year the Single Currency (EURUSD) traded in the narrowest range since the creation of the Euro, while Cable (GBPUSD) was at its tightest in terms of price movement since 1988. Reasons given for this state of affairs range from low interest rates (participants in the Carry Trade find it difficult to find high enough rate differentials, on which they depend), a crackdown on High Frequency Trading (HFT), which has been blamed for market distortions and even that fact that we are now in the midst of the holiday season. The good news is that the Mandelbrot routine is well able to find trading opportunities, even in this low volatility environment. The example of the GBPUSD trend, discussed above, that we have been trading with good success is a case in point. Others include pairs that contain the Australian and New Zealand dollars, the Norwegian Krone and the Canadian dollar.